Gold, all yellow and shiny, we’re not supposed to like it are we? 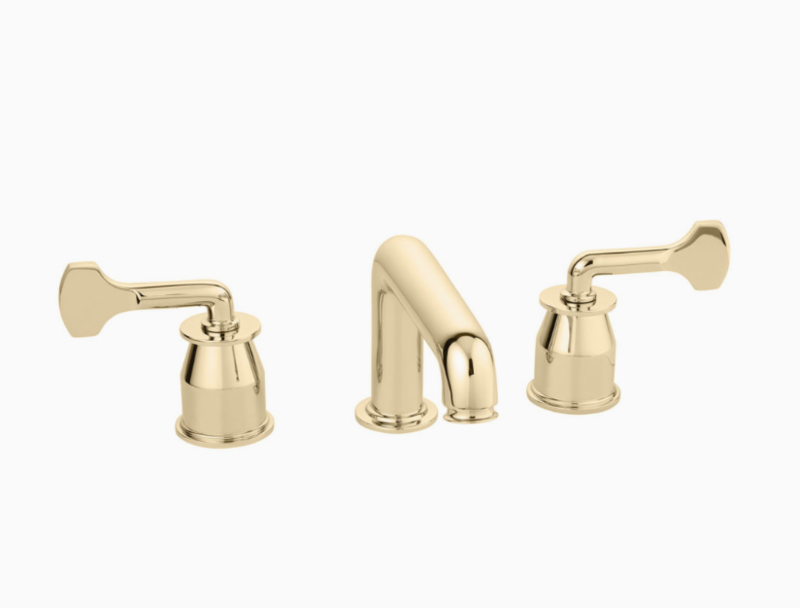 Brass, with its deeper, more honeyed golden hues, confers a sense of glamour and prestige and both chrome and stainless steel are acknowledged as being ‘cool’ or ‘modern’. But gold, well that’s shorthand for bling and designer ostentation, non? Except, gold is everywhere at the moment! 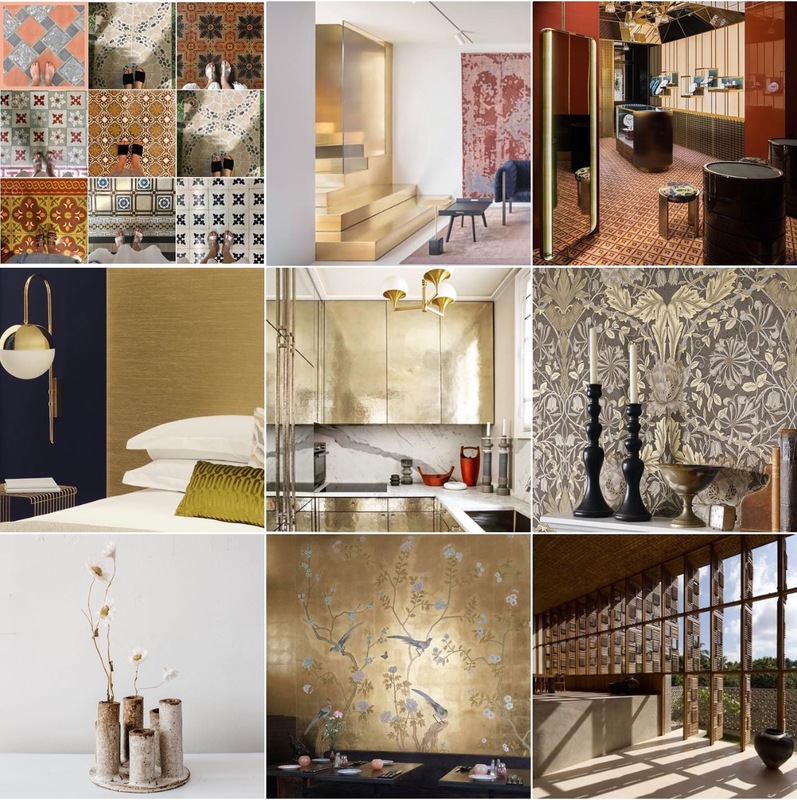 Most particularly on walls, as a new crop of prints and papers are re-coloured for autumn in glorious golden metallics, and for lighting, where at the Autumn 2017 design fairs it was absolutely the finish of choice. So can it be that gold has finally come in from the cold? On one level I feel the seeming rise and return of gold is a very literal quest for optimism. Gold is a material that sings, shines and looks overtly happy. With neither the stealth wealth subtlety of platinum, nor the comparative cheap and cheerful jollity of silver, gold connotes bright, blatent, uncomplication. One of the so-called ‘noble’ metals, in its pure form, it is inert, changeless and incorruptible, thus has for centuries also been symbolic of wisdom and a certain divinity — think top of the podium gold medals, golden ages and Aristotle’s ‘golden mean’. The perfect aesthetic antidote then to our strident times? On the other hand, this golden renaissance is, very simply, a measure of the persistently cyclical nature of trends. 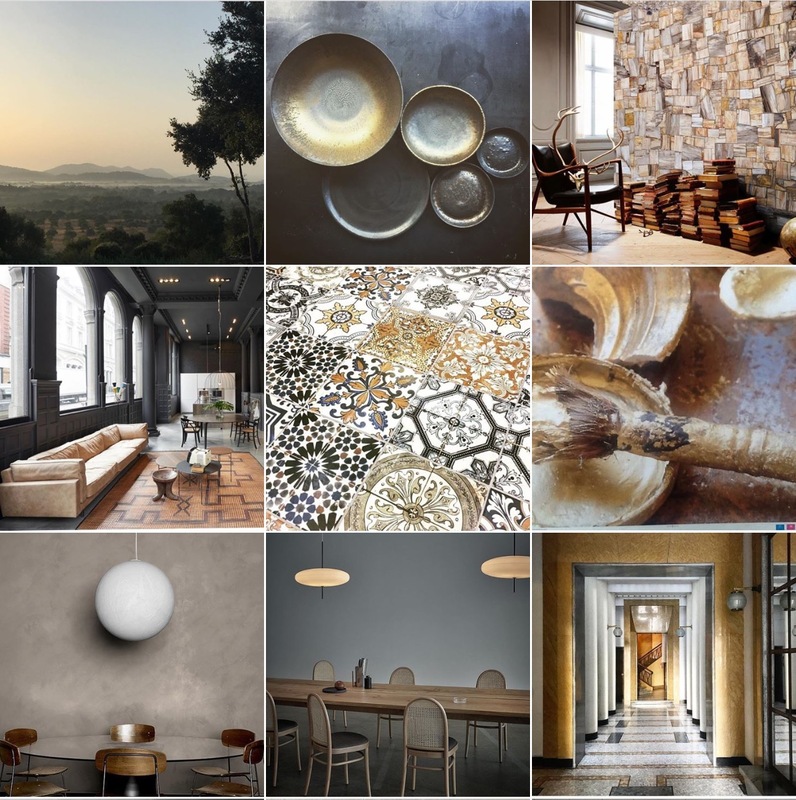 In recent seasons copper has been the fashionable metallic of choice, alongside brushed and matt brass, with the latter absolutely proving itself to be something of a long-stayer in the interior designer’s decorative toolbox. As such, the resurgence of gold, will inevitably beget the demise of copper, action and reaction and all that, hand in hand I suspect with the emergence of rose gold (a mix of gold and copper) as a sort of baby-steps towards gold compromise. However, brass and gold together are really rather wonderful. After all, we’re talking about the colour of the finish here, not the crafting of products from actual gold! 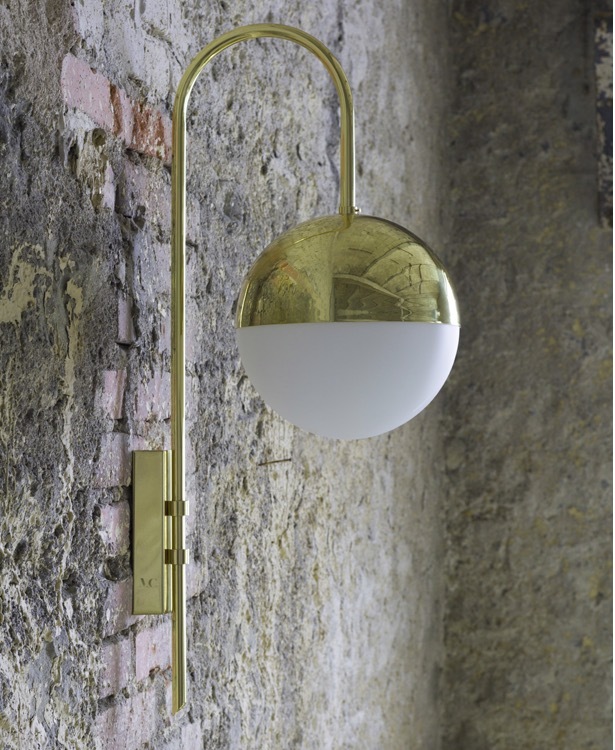 In the case of lighting, this means brass that has simply been polished to a very high shine and yellow lustre. Mixing the two therefore is about the very pleasing combination of matt and gloss. It’s a similar story with wallpapers. The use of gold lends them a sun-kissed glow; it warms and adds wow-factor, lifting wall-coverings to a whole new dimension: thus traditional patterns become very modern (see the new William Morris Archive IV collection, especially the ‘Snakeshead’ design) and textured papers come alive (see Arte, champions of luxe wallpaper, making magic with gold-toned sisal no less). Who knows, at this rate, we may even have to reconsider gold taps! 1. The ‘Metric’ wallpaper from Arte’s ‘Oculaire’ collection. 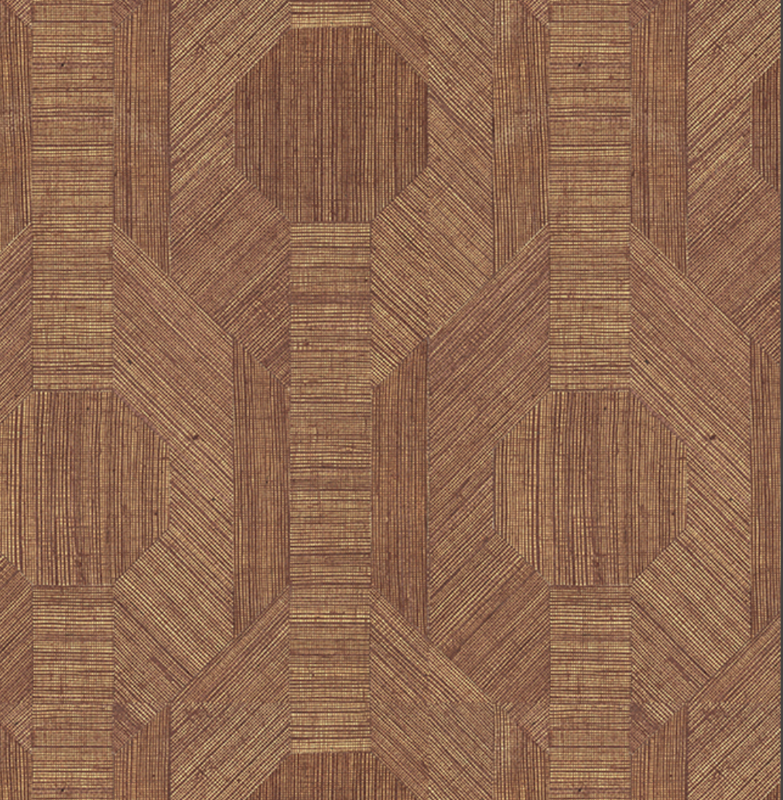 A wonderfully-textural sisal paper with a touch of the exotic. Admittedly more olde gold than bright, but too gorgeous not to include. Arte ‘Metric’ from the ‘Oculaire’ collection. A gold-toned sisal fibre wallpaper. 2 ‘Snakeshead’ from the Morris & Co. Morris Archive IV collection, originally produced in 1876! Nothing beats a heritage design. 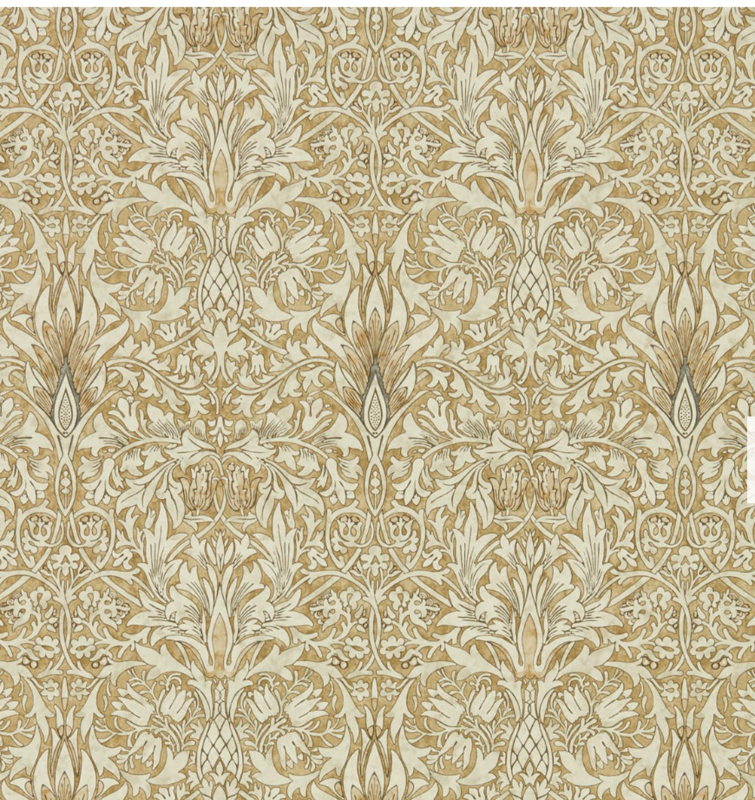 The ‘Acanthus’ design from the Archive collection is also amazing, re-coloured too for the new season. ‘Snakeshead’ from the Morris & Co. Morris Archive IV collection, originally produced in 1876. 3. One more wallpaper because this one is ridiculously delicious. 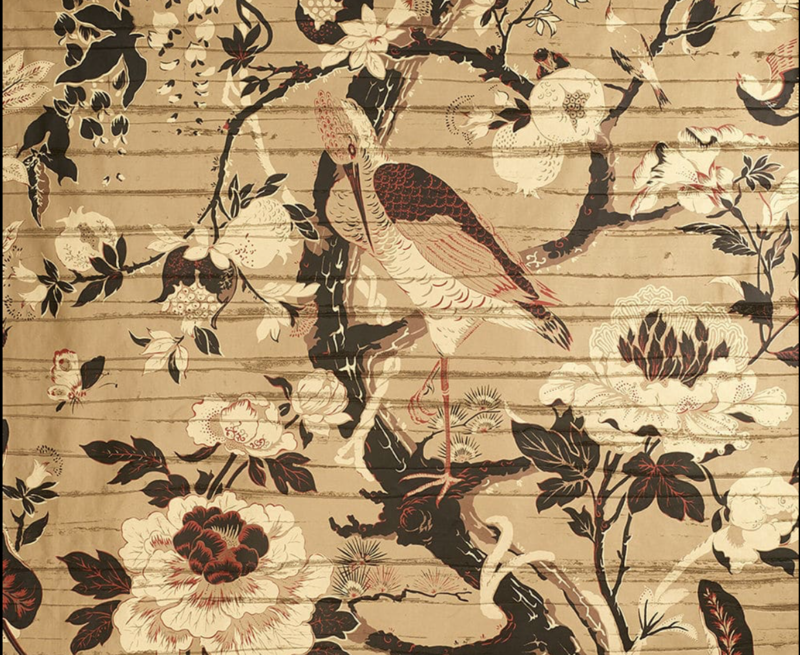 ‘Silkbird’ by Dedar, inspired by 17th century Chinese Coromandel screen motifs. 4. 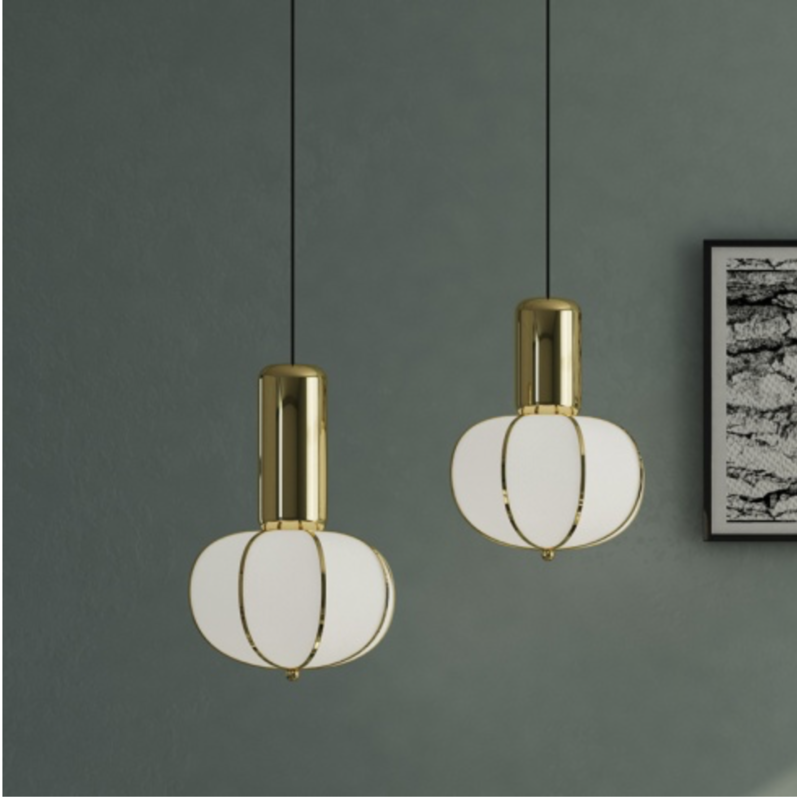 I always like to think of lighting as the jewellery of the home; so pendant lights are kind of like earrings! So how about these… The ‘Circus Suspension Lamp’ from Amode. £620. Also available in matt black. The ‘Circus Suspension Lamp’ from Amode. £620. Also available in matt black. 6. The ‘Heron’ floor lamp designed by Michael Verheyden for CTO Lighting. So delicate. Also available with a black Marquina marble base. 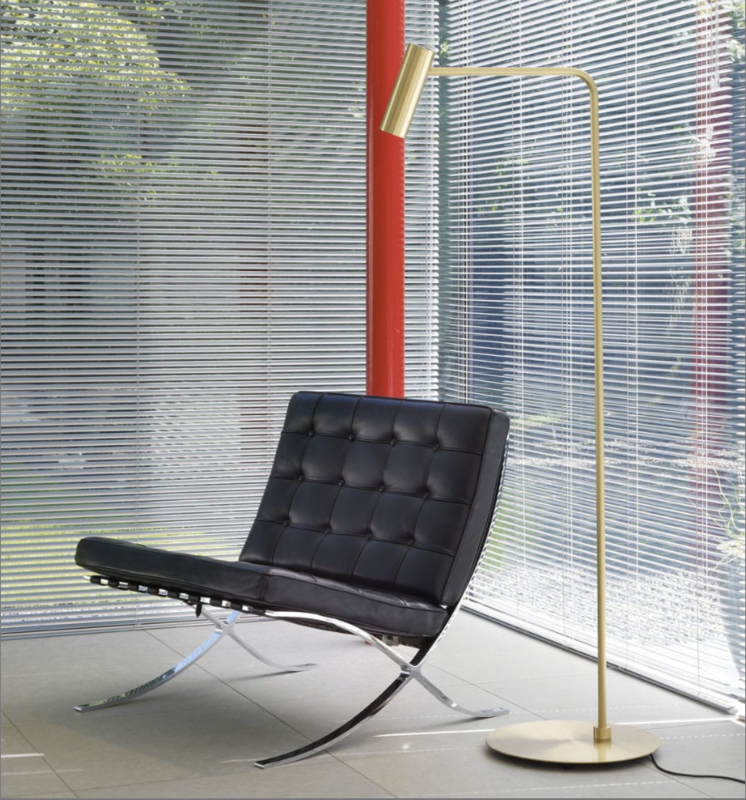 The ‘Heron’ floor lamp designed by Michael Verheyden for CTO Lighting. 7. 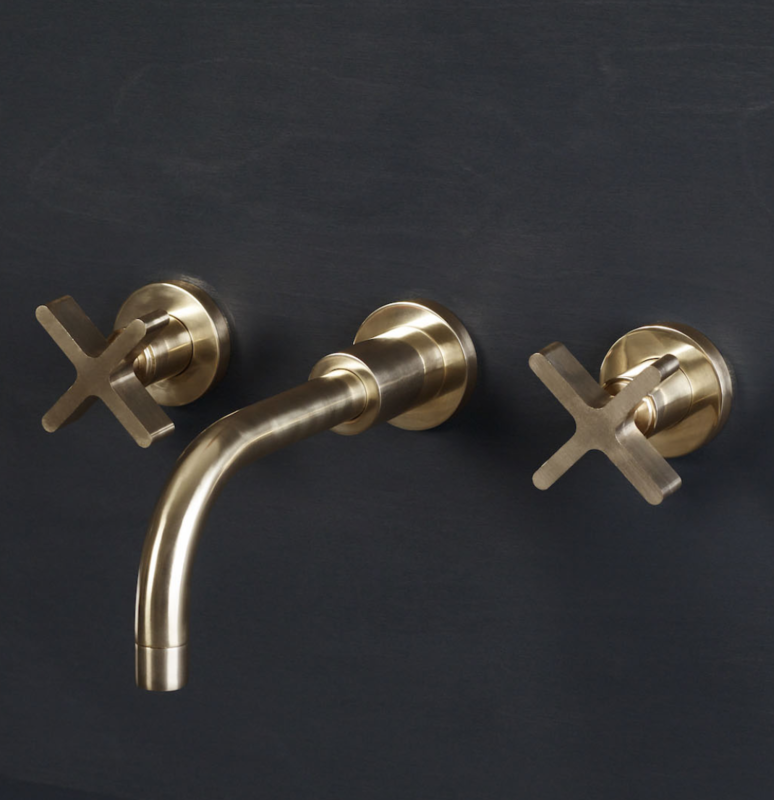 Wall-mounted basin taps in solid polished brass, with ‘Cross’ style handles (others available) from the Sussex-based, Studio Ore. From £726. There also do coordinating wastes, plugs, flushes and more. Wall-mounted basin taps in polished solid brass, by Studio Ore.
7. The ‘Leawood’ 3-Hole basin bathroom mixer tap designed by Martin Brudnizki for Drummonds. 8. 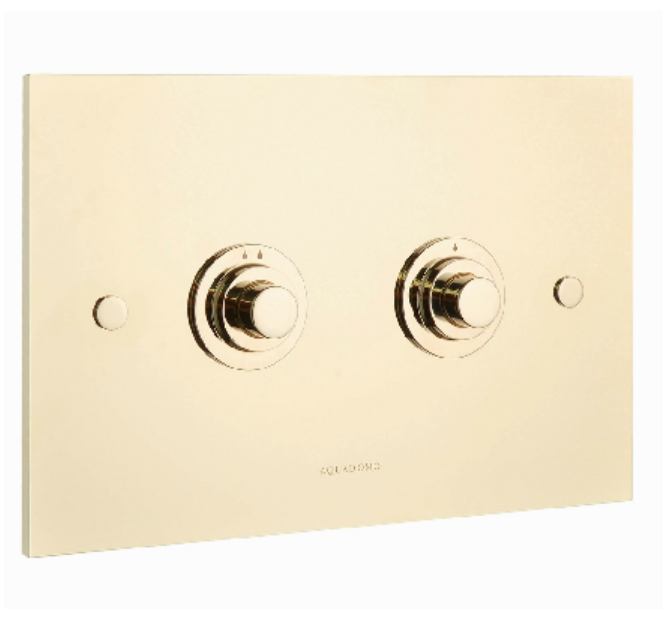 The ‘Aquadomo Diamond’ dual flush plate, £890. Pricey but made of solid metal. If you can afford it, then it’s a delectable finishing touch that should last a lifetime. After all, if you have gold taps then you’ll have to coordinate your flush! Check website to ensure cistern compatibility.